Come and inspect this quality brick and tile two bedroom duplex. Located in popular Warners Bay and sitting on a level block, with side access for caravan or trailer. Close to public transport. If you are looking to downsize this is the one for you! * 2 generous bedrooms, both with built in robes, main with ceiling fan. * Neat and tidy eat in kitchen, electric cooking, plenty of storage. * Spotless bathroom with separate bath. * Sizeable lounge room with ceiling fan, reverse cycle air con and gas bayonet. 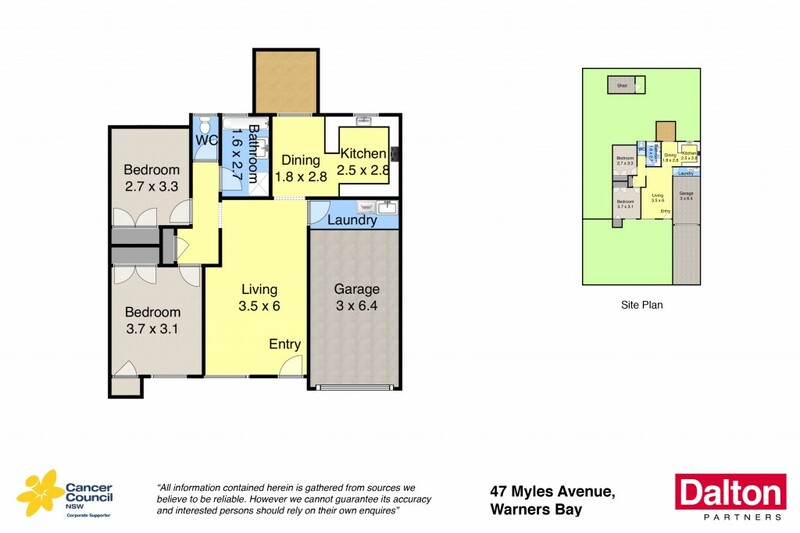 * Level block of 337m2 approx, side access and fully fenced. * Single garage with auto door and internal access. * Close to public transport & Warners Bay shopping and foreshore.